Exactly 100 years ago, on 18 January 1919, a conference was held in France for the victorious forces of the First World War to govern the defeated countries. As is well known, the great powers of the world are trying to change the reality of war according to their own interests. This year’s anniversary was a distortion of historical facts in many fronts, and against it, with a brief description of some facts written with blood on black pages of history. We warn the Kyrgyz people of the dangers ahead and call for their elimination. The war ended with the victory of the alliance axis, with Germany they held the Treaty of Versailles, and with Austria the Treaty of Saint-Germain, with Bulgaria the Treaty of en-Laye, with Hungary the Treaty of Trianon, and with the Ottoman state the Treaty of Sevres. Then replaced the Treaty of Lausanne with the Treaty of Sevres, which resulted in the abolition of the Khilafah (Caliphate) and on its ruins the Republic of Turkey was founded. As for Central Asia, it was occupied by tsarist Russia in the late 19th century. After the establishment of the Soviet Union, it became its private territory. World War I had disastrous consequences in Central Asia. Tsarist Russia had pillaged the property of the Central Asian population. The men were sent to hard labour and the majority did not return from there, this situation led the local Muslim population to protests against colonialism. The Muslims called this revolution a battle against atheism. As a result, the suppression of the uprising by the colonists, mercilessly, 500,000 people died. The massacre of the Russian colonists is known in Kyrgyzstan widely as “Urkun”. As a result of repressive police bullets and force used against the revolution and due to the humiliation of China, 12% of the population in northern Kyrgyzstan died. More than 1 million people have died in the Turkistan region due to starvation. 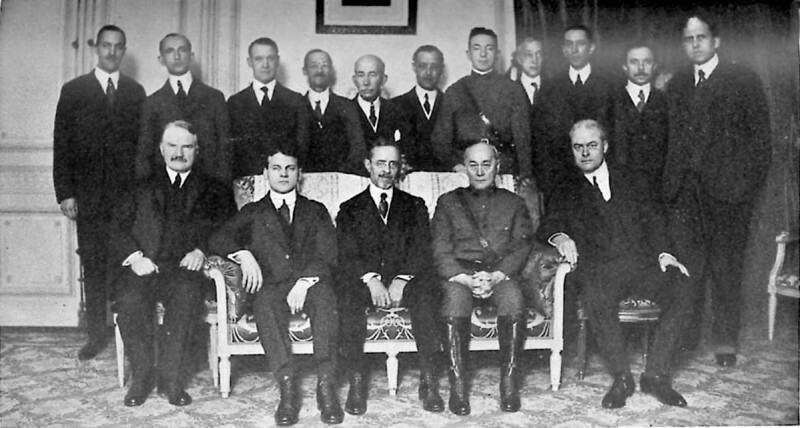 After this World War, the League of Nations was created in the name of “peace.” In fact, it was meant to ensure that the conquering forces controlled their colonies. However, their mask was quickly revealed and the greed of the colonial powers did not stop. Then World War II broke out, also under the name of “peace”, the United Nations was established, thus ensuring the hegemony of the victorious powers, yet the greed of their rivalry did not stop. America and the Soviet Union in order to take away colonies from the other power, they created the artificial war under the name of “the struggle for independence.” The local population suffered the most casualties in this war but they have not been able to achieve true independence. Then came the Cold War, which ended with the collapse of the Soviet Union. After the end of the Cold War, America remained the first country in the world without a rival, and then chose Islam as its rival to prevent the establishment of the Khilafah Rashida (guided Caliphate) and to extract colonies from other powers competing with it. It created the idea of ​​the “war against religious extremism and terrorism” and implemented it, and occupied Afghanistan and Iraq, and it is in Syria to prevent the Khilafah (Caliphate) so it involved all the enemies against Muslims. During the conflict of interests between the major colonial powers, the people of Kyrgyzstan were left without a share of gains. For example, the events of Osh in 1990, the coup in 2005, the coup of 2010 and the events of Osh, are nothing more than manifestations of colonialism. To date, Central Asia, including Kyrgyzstan remains between the claws of the colonial conflict, the old colonizer, Russia, and the new one, America and China, used a variety of colonial methods and they compete among themselves. For all this we warn the people of Kyrgyzstan of becoming victims of colonial conflicts. O people of Kyrgyzstan! Do not become victims of their dirty plans. O Muslims in Kyrgyzstan! To rid yourself of colonialism and to save yourselves from humiliation is by returning to your Islam. Look at history again, and do not forget that China, Russia and America simultaneously paid the jizya (tax) to the Khilafah (Caliphate). Therefore, your glory is achieved only by the establishment of the Khilafah Rashida (guided Caliphate), so you must learn the true Islam and adhere to it. And therefore we invite you to learn the pure ideas of Islam and its clear way, and so you will be happy in both worlds. Allah (swt) says: ﴿إِنَّمَا كَانَ قَوْلَ الْمُؤْمِنِينَ إِذَا دُعُوا إِلَى اللَّهِ وَرَسُولِهِ لِيَحْكُمَ بَيْنَهُمْ أَنْ يَقُولُوا سَمِعْنَا وَأَطَعْنَا وَأُوْلَئِكَ هُمْ الْمُفْلِحُونَ﴾ “The only statement of the [true] believers when they are called to Allah and His Messenger to judge between them is that they say, “We hear and we obey.” And those are the successful” [An-Nur: 51] Allah (swt) says: ﴿يا أَيُّهَا ٱلَّذِينَ آمَنُواْ ٱتَّقُواْ ٱللَّهَ وَكُونُواْ مَعَ ٱلصَّٰادِقِينَ﴾ “O you who have believed, fear Allah and be with those who are true” [At-Tawba: 119].